Hello everybody, today I'm releasing a new version of the game with the sound effects (finally!). • Music and Sound effects added. • Victory and defeat messages. • Performance boost (New compiler). • New options menu interface. • Now Heimerdinger can only spawn 2 turrets at the same time. 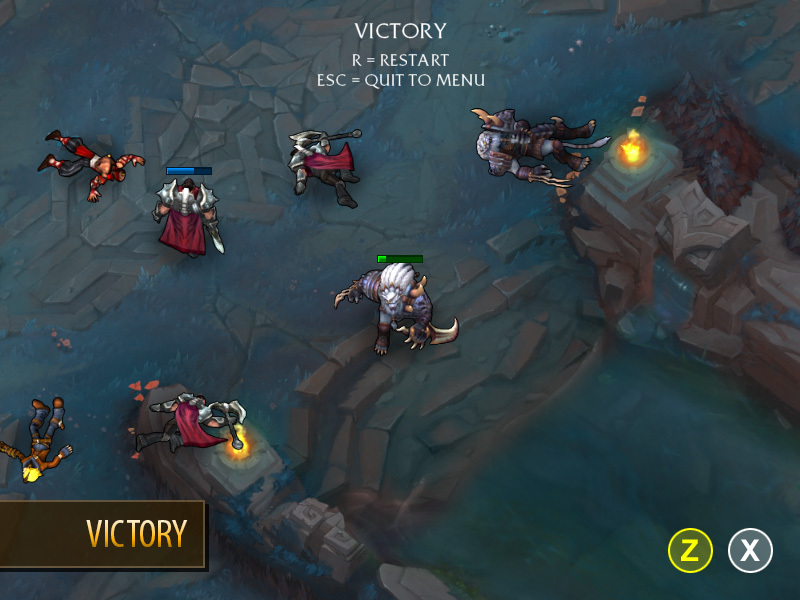 • Now you can set the game difficulty (Easy, Medium and Hard). 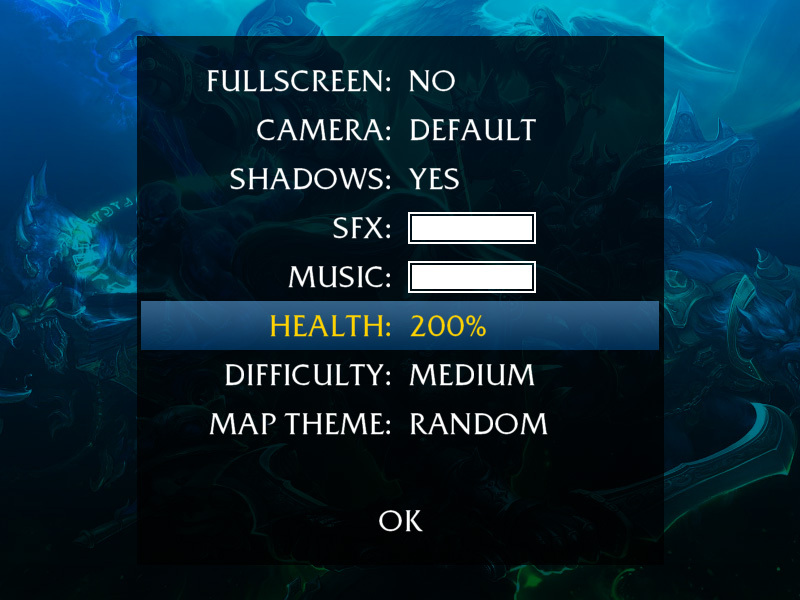 • Now you can press F1 to toggle the game to fullscreen. I also uploaded a gameplay video on YouTube.